Toyota Australia has unveiled plans to build a new $7.4 million Hydrogen Centre at its former site of car manufacturing at Altona in Melbourne’s west. The Hydrogen Centre project, which is supported with $3.1 million in funding from ARENA, is part of Toyota’s larger plan to transform the former Altona site into a Centre of Excellence which will include a world-class training facility and other commercial initiatives that will enhance the company’s business and the community. According to the carmaker’s statement, the project will repurpose existing manufacturing infrastructure into Victoria’s first integrated hydrogen site, complete with electrolyser, commercial grade hydrogen refuelling station and an education centre with live demonstrations. 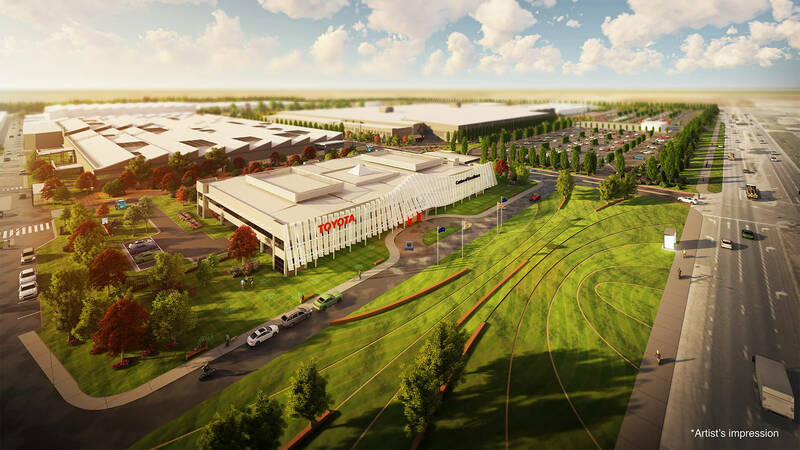 Toyota Australia’s President and CEO Matt Callachor said the new Hydrogen Centre would help the company meet its target of zero CO2 emissions from sites and vehicles by 2050. “This is a very exciting time for Toyota Australia. Today’s announcement with ARENA aligns with our global drive to promote sustainable mobility and to play a leading role in the transition to a decarbonised future,” Mr Callachor said. “Hydrogen has the potential to play a pivotal role in the future because it can be used to store and transport energy from wind, solar and other renewable sources to power many things, including vehicles like the Toyota Mirai Fuel Cell Electric Vehicle (FCEV). ARENA Chief Executive Officer Darren Miller said the project would demonstrate that hydrogen is a viable fuel source for transport and energy storage medium. “Toyota is helping to pave the way for more renewably powered vehicles in Australia, where the uptake of electric vehicles has been slower than other countries,” Nr Miller continued. “The demonstration of low cost hydrogen production and distribution is key to the uptake of hydrogen-powered electric vehicles in areas such as truck, bus and government fleets. Construction on the Hydrogen Centre is scheduled to commence this year, with the education centre to be open by December 2019. Once fully operational, the hydrogen refuelling station will be able to fill a vehicle, like Toyota’s Mirai FCEV, well within five minutes.